Her nicknames may include 'wolf girl' and 'monkey face'. 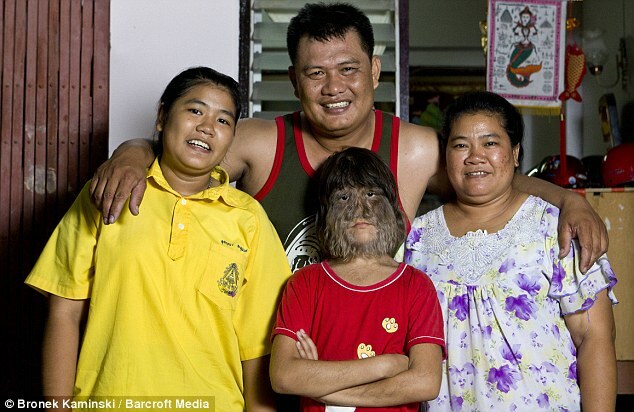 But 11-year-old Thai girl Supatra Sasuphan today insisted that she was after being officially recognised as the world's hairiest girl. 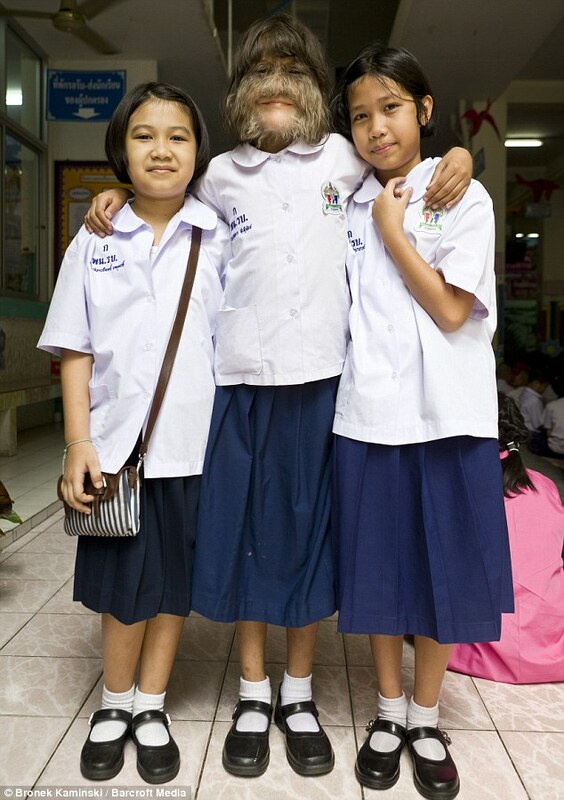 Although the schoolgirl from Bangkok has faced merciless teasing at school, Supatra says being given a Guinness World Record for her hair has helped her become extremely popular. 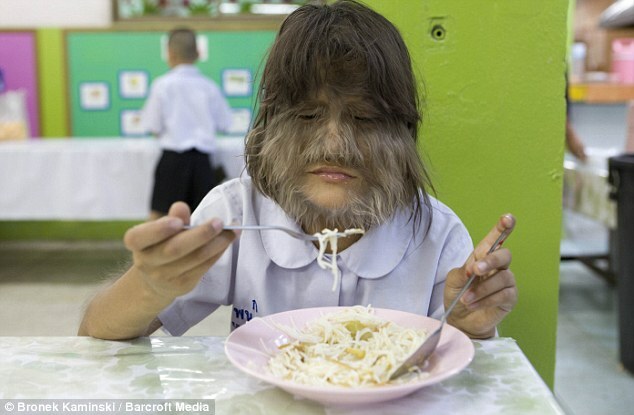 'I'm very happy': Supatra Sasuphan, 11, is one of only 50 people ever to have Ambras syndrome which makes hair grow all over her face. She has now been recognised by the Guinness Book of Records. She has thick hair growing over her face, ears, arms, legs and back. Even laser treatment has failed to stop the hair growth. But while most sufferers have been shunned, Supatra has gradually been embraced by her community, and became a popular and outgoing child. 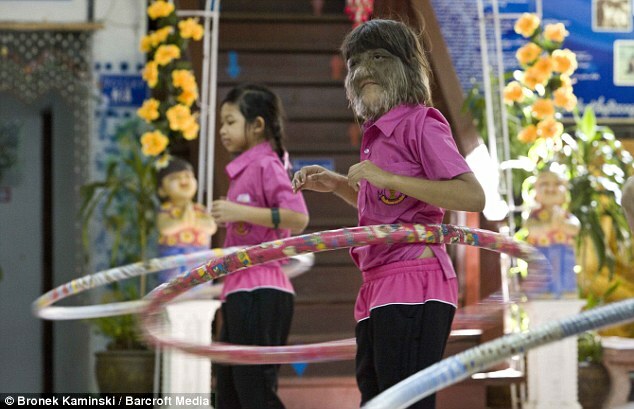 'One of the most popular girls in school': Supatra with classmates at Ratchabophit school, where she says getting the record for world's hairiest girl has helped her win more friends. She said: 'There were a few people who used to tease me and call me monkey face but they don't do it any more. 'I'm very used to this condition. I can't feel the hair as it has always been like this. I don't feel anything. In other ways Supatra is the same as other children her age - she loves swimming, dancing to her favourite music and playing with friends. But more than anything, Supatra loves perching in front of the TV at her tiny one-bedroom family home in Pranakom, on the outskirts of Bangkok, to watch cartoons. The bubbly little girl is also determined not to let her condition prevent her from leading a normal life. She said: 'I like to study maths so I can be good at it and teach it to younger children so they can do it too. 'I want to become a doctor so I can help patients when they get injured. But Supatra's future didn't always look so promising. When she was first born she had to undergo two operations just to breathe. Her father Sammrueng, 38, said: 'We found out Supatra's condition when she was born - we did not know before. Supatra has another operation when she was two-years-old and can now breathe normally. But when Sammrueng and his wife Somphon, 38, brought Supatra home to live with them and their other daughter Sukanya, now 15, they faced more problems. 'When neighbours first saw Nat they asked what kind of sin I had done. I was very worried about what she would be when she grew up because of other children teasing her,' he said. But Supatra's sweet nature quickly won over people in her community. Sammrueng, a jewellery maker, said: 'She gets along with others really well and is very generous. She has a lot of friends. 'She is just the same as any other little girl her age. 'But her teeth grow slowly and she can't see very well." 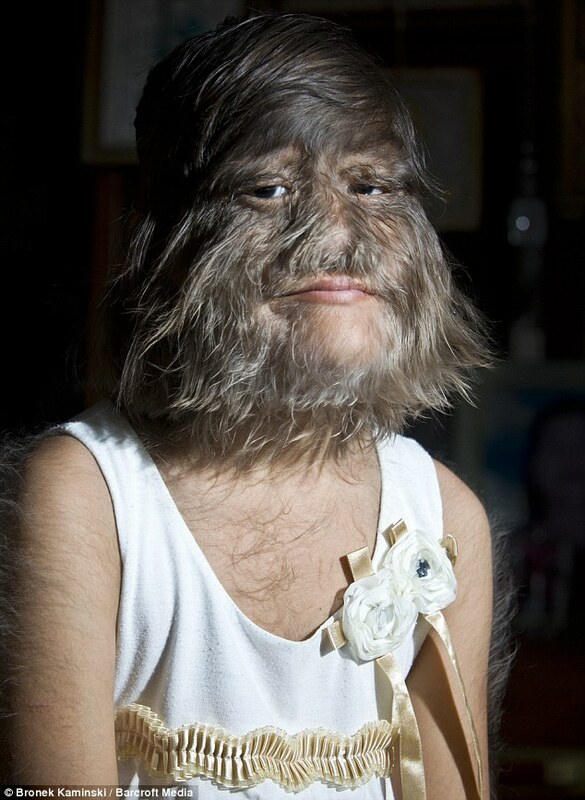 Doctors tried to remove the hair with laser treatment when she was two-years-old but despite numerous sessions it kept growing back as thickly as before. 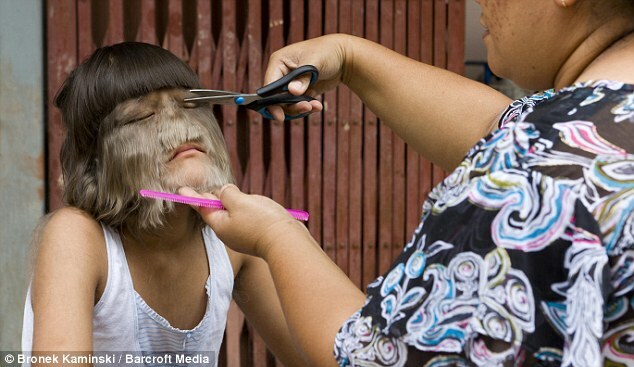 Supatra's hair has got increasingly thicker as she has grown up so her mother has to cut it back regularly for her. She uses baby shampoo to wash her hair as she is allergic to stronger brands.